A vsit to Umberto’s flagship salon is an exquisite experience: a warm and welcoming atmosphere, rich in Italian heritage, European art and modern convenience. A full-service beauty emporium, staffed by some of the most talented artists in Beverly Hills, Umberto Canon encompasses 75 stylists, 10 manicurists, 3 make-up artists and 2 estheticians on two levels in an ethereal 12,000 sq. foot environment that accommodates guests and stylists with a remarkable degree of privacy. 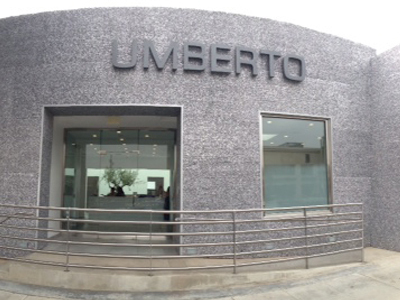 Upon your first visit to Umberto, you will be treated to a consultation with the master himself. Umberto considers your personal preferences, inquires as to your lifestyle, your desires and expectations, and will then match you with the stylist most suited to your needs. Before you leave the salon, Umberto or his salon manager will follow-up with you to ensure that you are satisfied with your styling service. 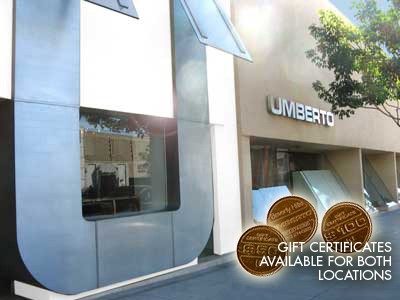 Our new salon, Umberto Olympic, offers the Umberto experience at a more affordable price. A touch of Umberto’s native Italy is the centerpiece of this airy, elegant space: an olive tree grows under a skylight in the central courtyard. Surrounded by framed artwork by R.C. Gorman, each of the talented stylists, colorists, aestheticians and manicurists create works of art every day for their clients. Warm and welcoming, the Olympic Salon is open six days a week, Tuesday through Sunday. GooGhywoiu9839t543j0s7543uw1 - pls add umbertobhmarketing@gmail.com to GA account UA-49092918-1 with ‘Manage Users and Edit’ permissions - date 11.27.18.